It supports offline xentry activation and it can do before 2013.01 software version. Please note, you should active it before using, the key gave the KEYGEN, you can active it by yourself, after the activation, you can do the following functions. There are two possibilities when you choose the date. 1,Try to choose the car's date of manufacture. 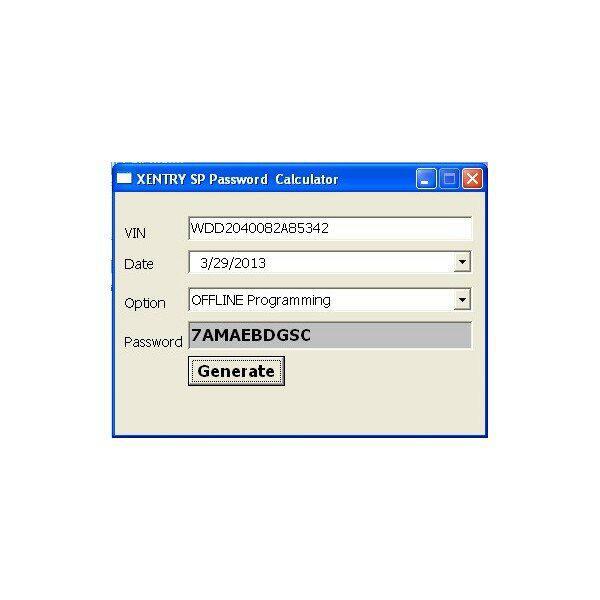 2, If it is not the car's date of manufacture, choose the date you calculate the password. If the calculated password was placed for several days before you use it, then you have to reset your computer date to the date you calculate the password. 1. Enter the CD to the laptop, copy all the software to the desk. 2. Plug USB Dongle, then the keygen is running, you can start calculate. Software once you open it, will enter the menu, just follow the step for the system remind you.